We teach a thematic unit on Natural Disasters in our ninth-grade English curriculum. These classes include both native-English speakers and advanced English Language Learners. Since it’s the first unit we teach in the fall semester, I thought it would be good to use that topic for another “The Best…” list. In order to make it on this list, the sites have to be accessible to English Language Learners and also provide engaging content. You might also be interested in A Compilation Of “The Best…” Lists About Natural Disasters. Curriculum Bits has a series of excellent animations that provide audio support for the text. They have ones on Earthquakes, Hurricanes, Tornadoes, Tsunamis, and Volcanoes. There are two online games that students can play and help prevent disasters: one is Stop Disasters. Disaster Detector is an online interactive game from the Smithsonian that looks like it would be an excellent game for students to play who are learning about natural disasters, and it seems surprisingly accessible to English Language Learners. Players had to plan what they think would be the most effective defenses for a community facing various natural disasters and then see how effective they are when the hurricane, earthquake, etc. hits. Brainpop has several excellent closed-captions movies about various natural disasters. You have to pay for a subscription (and it’s well worth the price), but you can also get a free trial. The CBBC Newsround has a very accessible guide to Hurricane Katrina. “Disaster Hot Zones Of The World” is a very interesting and accessible world map showing which disasters are most likely to occur where on the earth. What Would You Put in Your Emergency ‘Go-Bag’? is from The New York Times Learning Network. How Science Has Battled Natural Disasters is a slideshow from Popular Science. Man-made natural disasters is from Al Jazeera. How To Survive An Avalanche is from Mental Floss. Earthquakes, floods and volcanoes: The most disaster-prone places in America is an interactive from The Washington Post. I’ve embedded two of them below. This NY Times video is barely over one minute, but it’s a very useful one if you, like we do at our school, teach a unit on Natural Disasters. Every year, the United States foots a multi-billion dollar bill for the economic and insured losses incurred from natural disasters. In 2014, the costs reached $25-billion with certain regions of the country more prone to calamity than others. So what disasters are the most common and how much do they cost? This video breaks down the natural disasters by region. The Washington Post has published an impressive interactive infographic mapping the most expensive – in dollars and lives – natural disasters that have occurred in the United States. 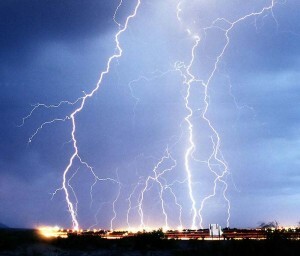 NBC Learn has new a ten video collection titled When Nature Strikes: Science of Natural Hazards. The Places in the U.S. Where Disaster Strikes Again and Again is a excellent interactive from The New York Times. If you found this post useful, you might want to subscribe to this blog for free. Thanks Larry for these links. Ironically we have just completed a unit on natural disasters. I had found most of these sites but there are a couple that are new to me – I have bookmarked those for next time! I’m planning a multi-genre unit on natural disasters featuring mostly non-fiction, but I’d like to reinforce fiction elements as well. Are there any short fictional pieces or poems you’d recommend? I teach 8th grade English. Thank you!